Remember when LG teased that it will be introducing a new series in the upcoming MWC 2013? 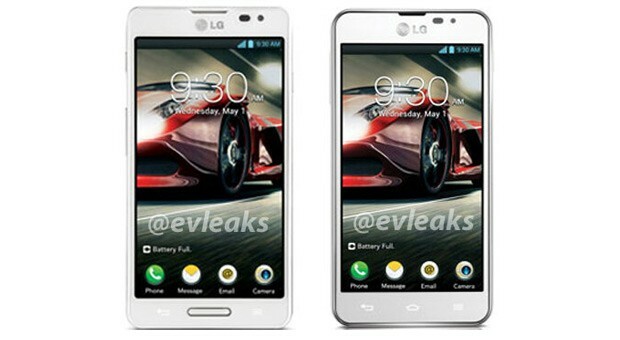 Well check out the new F series because images of the LG Optimus F7 and Optimus F5 have recently been leaked out. The one on the left would be the Optimus F7 while the other one is the Optimus F5. Unfortunately though, no information has been leaked regarding the specification. The devices will unsurprisingly be running on Android operating system and judging from the picture, it looks like it has an interface that is seemingly different from the latest device from LG, the Optimus G Pro. Last MWC, LG introduced the L-series – L7, L5 and L3 so if the company is going to work the same way, the F5 should be a mid-range device while F7 is a high end one, and hopefully, they will have an F9 too. But the excitement doesn’t stop there. The company recently posted a teaser video of what to expect this MWC and it looks like they might have much more to show off with the letters L (style), G (greatness), V (Vu/view) and F. Whatever it is, only a few more days to MWC 2013 so stay tuned.